Warning: Some of you may read this post and think eww, ick, disgusting, too much information, and that’s fine if you do, because really, it is kind of grody and majorly disgusting. But keep in mind when you’re scrunching up your faces, I’m the one who’s having to go through this every two weeks – living the ick and disgust. 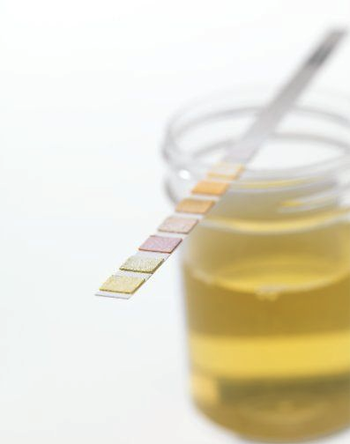 After 19 weeks – and several years prior – I think I may have finally discovered the trick to NOT peeing all over my hands when collecting a urine sample: go with an extremely full, ready-to-burst, omygawd-I’m-going-to-pee-my-pants bladder! The stream is much more direct. The fact that it’s taken me this long to figure it out either shows that I’m slow, or that there’s something seriously wrong and antiquated with the current system. I’m going with the latter. How is it that after so many decades of pee collection, the medical peeps have not yet come up with a system that doesn’t involve peeing all over one’s hands? I mean seriously, a cup, a freaking cup with an opening the size of a peep hole, and I’m supposed to get my urine in there without soiling my hands or the cup. I think not! Some of you may think, oh her belly’s getting larger, therefore causing good aim to fly right out the window, but no, the belly can’t be blamed in this instance. Right from the get-go, for four months, I have been peeing all over my hands, hardly getting a drop in the cup. And when you’re put in a situation where you have to provide four urine samples in one week (yes, I did endure a week like that) let me just say, you don’t stray far from the soap canister. I try getting it in the cup, oh my goodness do I ever try, but that stream does not want to cooperate. It wants to go in every which direction but the cup, and when I deny it that right, it opts for my hands and the outside of the cup instead. And seriously, why do these places NOT provide some kind of sanitizing cloth, or wet nap, or even baby wipes to clean up the outside of the cup. I mean, you’ve got to set that thing down somewhere (Take note: it’s NOT advisable to try to hold it while getting yourself back together again) but no, there’s nothing there, so not only am I peeing all over myself, but my urinary waste is also spreading all over the bloody counters or back of the toilet! And I’m sorry, but try as I might, wetting a paper towel to wipe up the mess, that ain’t cleaning it – it’s still there! You’d figure, given the amount of times I’ve got to pee in a cup (every two weeks at the diabetes clinic; once a month at the pregnancy doctors clinic, which will become more frequent as I progress; and once a month at the lab (I’ve all but given up on using a cup for checking my ketones every morning… I just pee straight on the strip)) I’d be an old hand at it by now, but nope, until today’s collection, I thought it was actually getting worse. Seriously, it’s time for a better system! 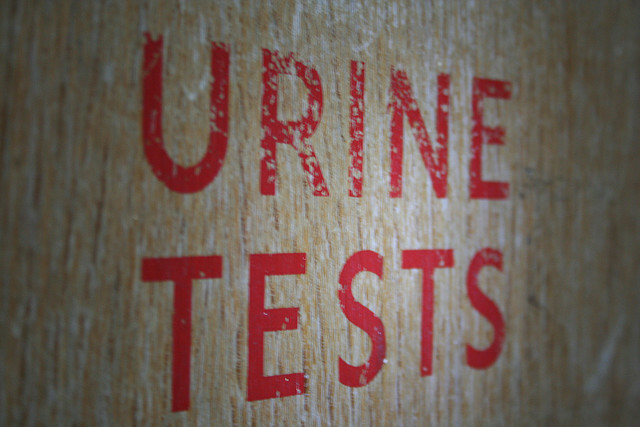 The state of urine was first published April 25, 2013.